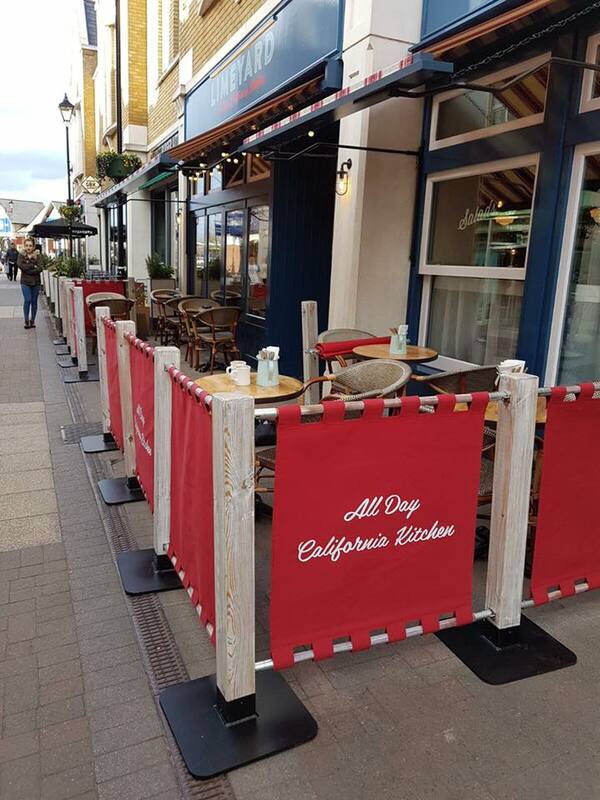 With Cafes and restaurants looking for a “rustic” look, wooden posts seem to be more popular now than ever. However, there is the right way to do it and obviously the wrong way. 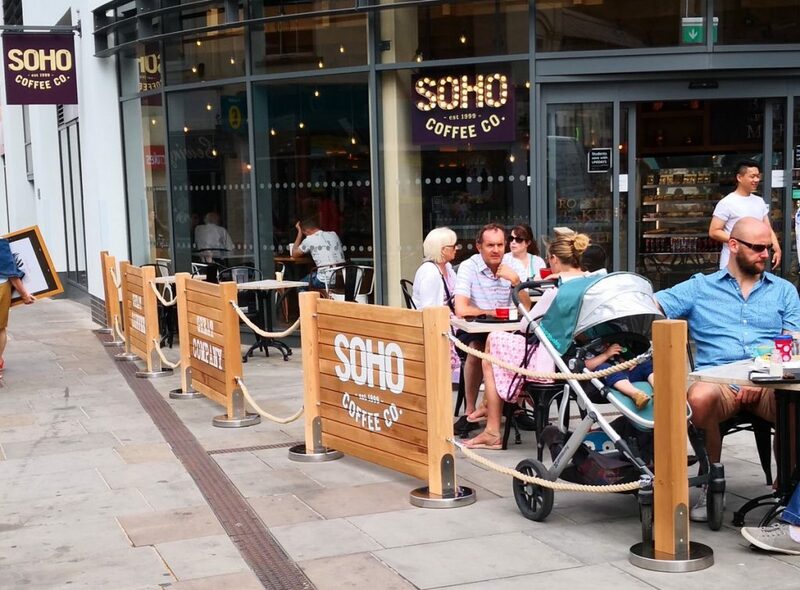 As a Cafe Barrier manufacturer, we offer two styles of wooden post. The first is our most popular, the “Rustic Post”. 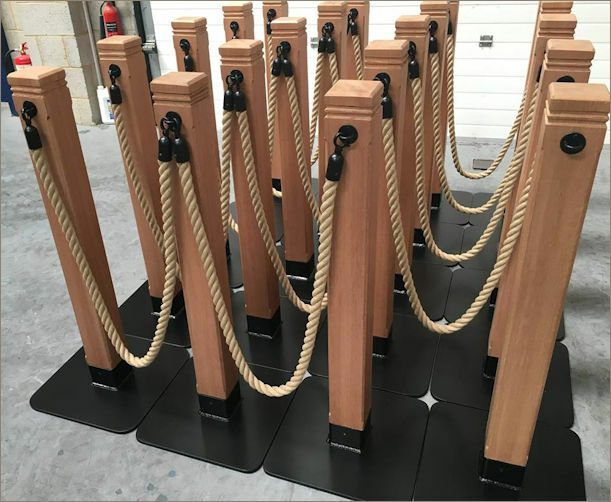 The image below shows the Rustic post with hemp rope that was supplied to Ted Baker in London. Manufactured from treated green oak with galvanised bases. Because we manufacture the Rustic Posts and panels in house, we can make them to any size and to any finish. 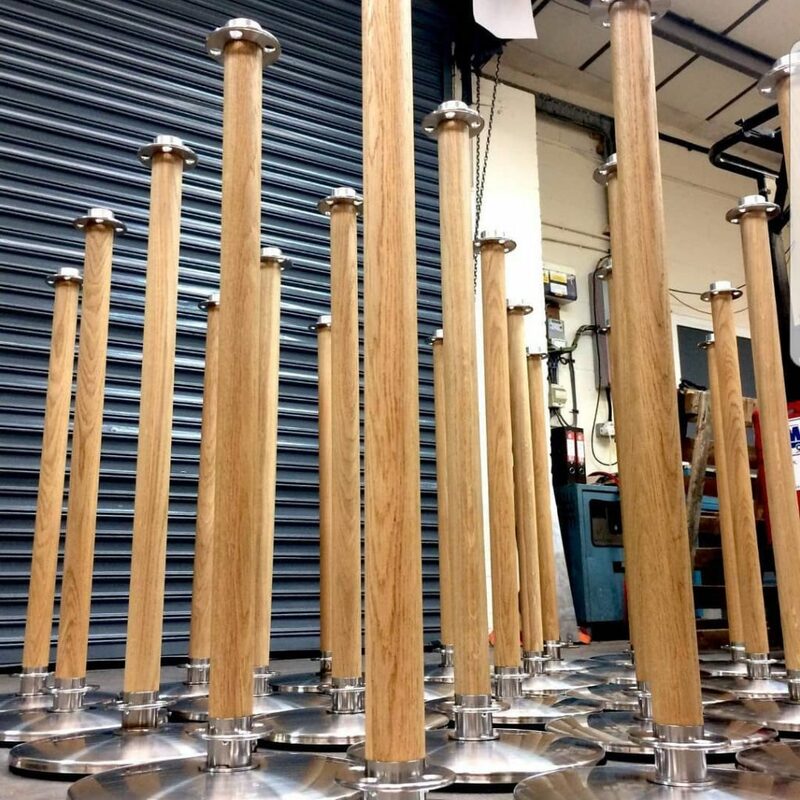 These Rustic Posts were supplied to a Chain of Restaurants going for a “Bleached” effect finish. If you’re going for square wooden posts, go for square bases. 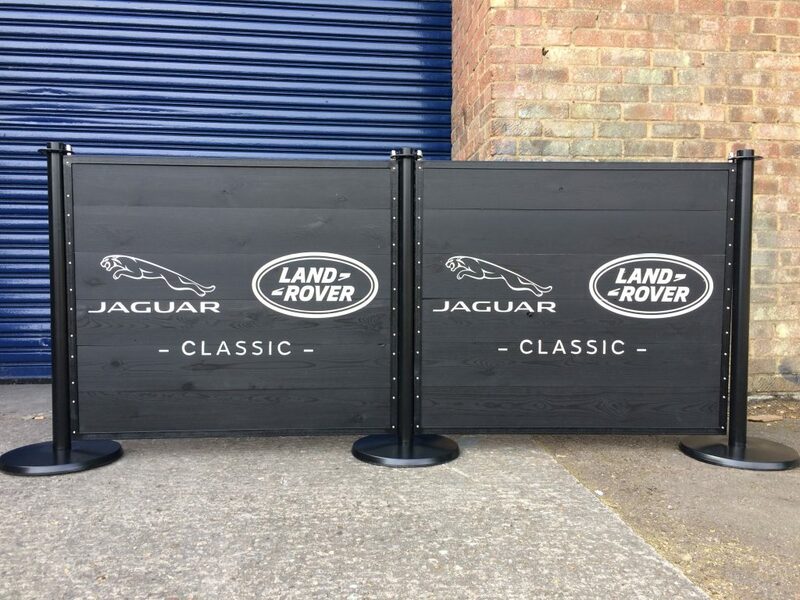 We offer both styles, but we always try and persuade our customers toward the same shape bases and posts. If you are aiming for a “rustic” look, stay away from polished stainless steel accessories. You don’t want to see your whole ambience being confused with a mixture of Rustic and Traditional. Ensure the bases are galvanised or in stainless steel. Buy treated timber. All too often “natural” wood is selected as a finish. It looks great but it will not last very long. If wood was supposed to be used without protection, then trees would have no bark. If it is the natural look you want, go for a clear satin varnish. Ensure the timber is planed or at least smooth. The last thing you want is a customer or staff member complaining of splinters. The image below show how easy it is to get it wrong. The bases are those you would find on a traditional cafe barrier post. If you’re going for a rustic look, every component should be rustic. The Stainless bases may be nice, but they do not fit into a rustic category and spoil the entire look. We get the idea, a fence like appearance. The concept is a great one, but the execution has failed. At least match the panels to the post finish. The barrier rope is too thin. The end user has used a 25mm poly hemp rope. For Rustic go thicker. We would use a 38mm diameter rope. 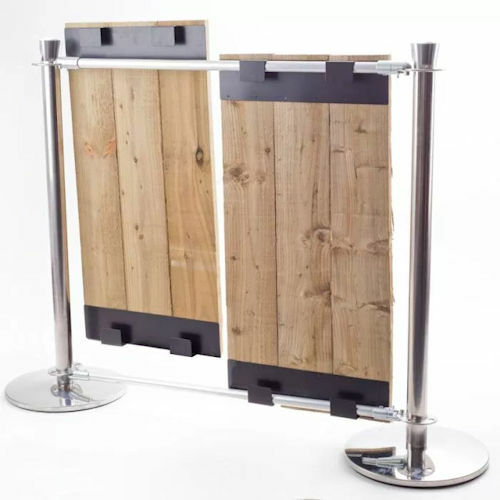 Another non rustic post is this barrier that is currently being sold as a wooden cafe Barrier post. The image above again gives a mix between rustic and traditional without actually making a statement of intent. It looks like these were manufactured as a rustic post and didn’t quite make it. 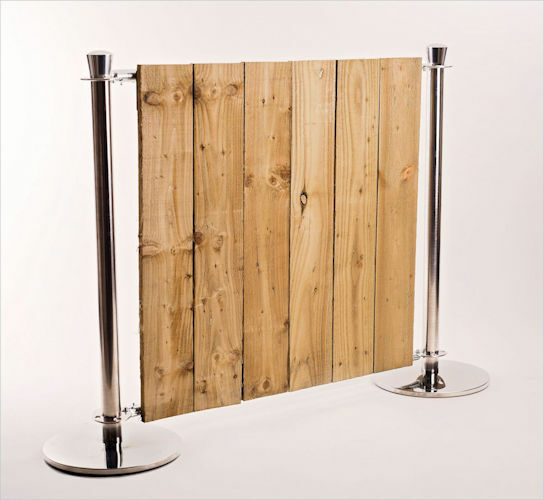 If you want wooden posts but do not want a rustic look, then the “Natural Post” is the perfect choice for you. 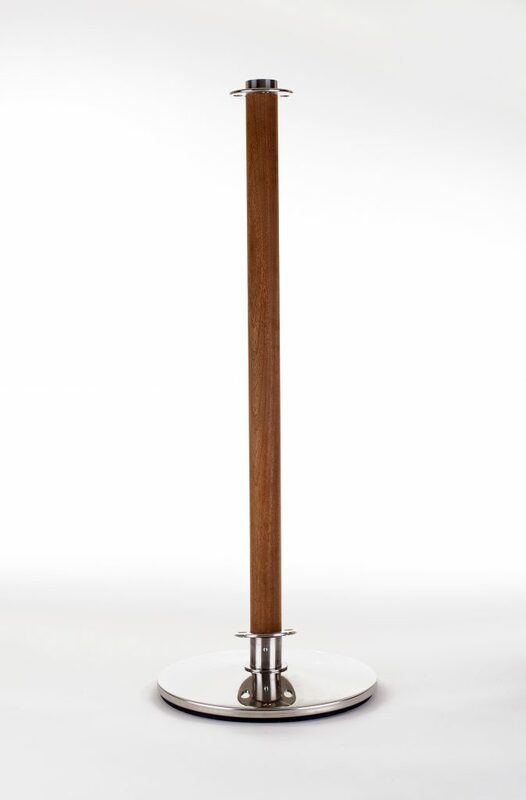 Unlike previous examples, the Natural Post provides the perfect combination of wood and stainless steel. The Natural post can be supplied in many wood types. See here for more information. The Natural posts (on the left) merged nicely with the Baylis planters we manufacture. 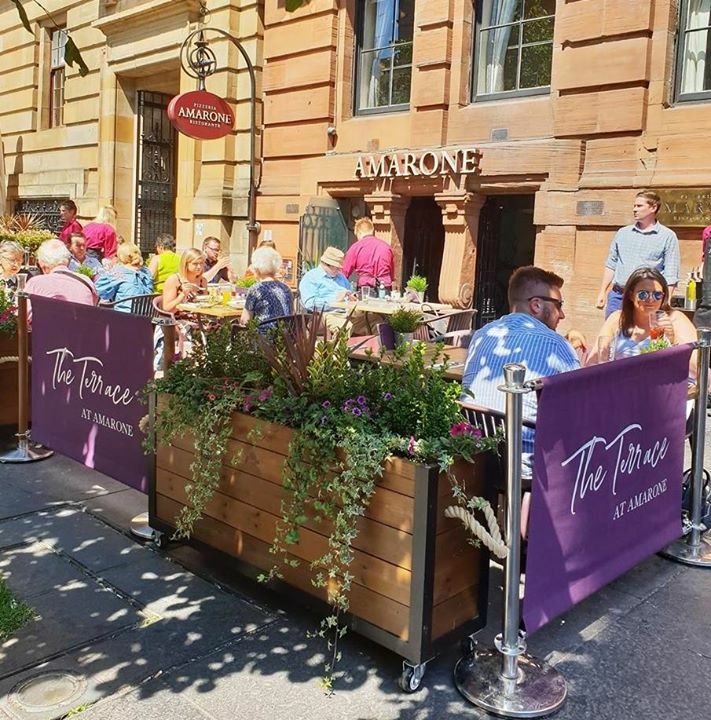 When we developed the Brandline wooden panelled cafe barrier many years ago, we looked at ways that we could improve the concept and make wooden panels a viable option for cafes and restaurants. a) the weight of the panels would be too high to move in and out each day. b) Wood shrinks and grows in ambient climates. c) after being treated, planed, painted or varnished, it was expensive for end users. d) branding was not the easiest. We manufacture two types of wooden panel. 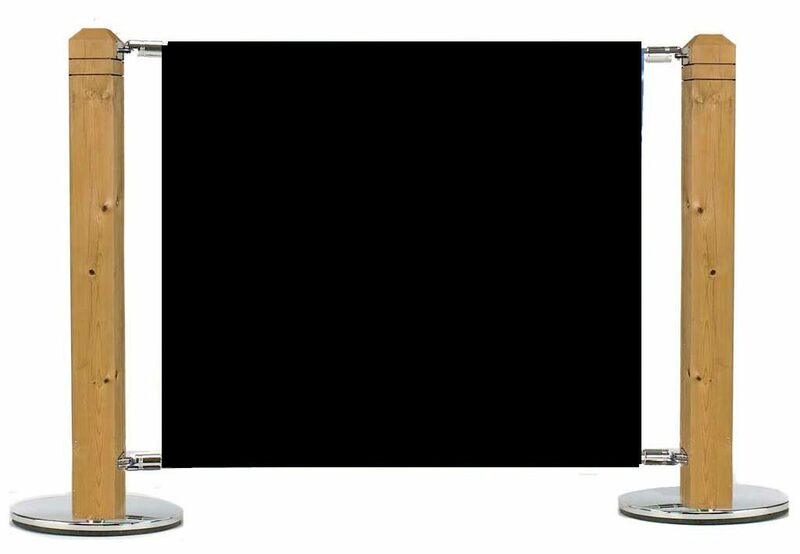 The first is a light weight panel which simply clips onto existing cafe barrier systems. The other panel we manufacture is the framed panel. It is heavier than the other panel, but is framed to avoid too much movement. All of our wood is treated and supplied with the standard Brandline warranty.